The Gandhi Ashram here, which stood witness to Mahatma Gandhi’s Harijan Padayatra in Odisha in 1934, now stands neglected owing to government apathy. Inspired by the Mahatma’s Sabarmati Ashram, freedom fighter Pandit Govind Chandra Mishra had established the Gandhi Ashram here in the late 20s. On behalf of Mahatma Gandhi, Mira Behen laid foundation stone of the Ashram on November 20, 1927, which was completed in 1929. The five-room building then became an important congregation point of freedom fighters during the freedom movement. It was here that the Father of the Nation spent two days during the Harijan Padayatra from Bhadrak to Puri. 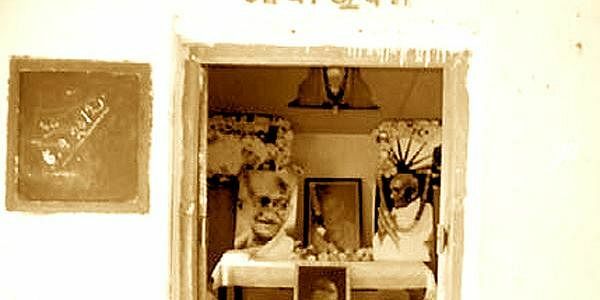 The room in which Mahatma Gandhi spent two days was named Gandhi Bhawan and the cot on which he slept, has been preserved till date. A Patha Ghara (library) was also established in one room of the Gandhi Ashram with around 7,500 books. Later on the instruction of Mahatma, another eight-room building was constructed in front of Gandhi Ashram which was converted into an educational institution - Champapur High School - on January 9, 1942. Mahatma Gandhi had donated a copper pahula (1/3rd of a paisa) for establishment of the high school. This pahula has been kept in the Gandhi Bhawan. After the demise of Bapu, the Champapur High School was renamed as Gandhi Shikhyashram which went on to emerge as a prominent model residential school. Due to alleged political interference, it was renamed as Kaitha-Champapur Gandhi Shikhyashram. The Government took over the school in 1969. However, all is not well with the Ashram and the school today. The memorabilia are decaying due to lack of maintenance. The library too is in a shambles and books are gathering dust. Water seeps through the walls and roof in Gandhi Bhawan as they have not been renovated for a long time. In the Kaitha-Champapur Gandhi Shikhyashram which has a student strength of 600, four of the eight rooms have been declared unsafe by the Rural Development Department. Under these circumstances, the school functions in two shifts. To worsen things, two trained graduate teacher, one trained intermediate and as many trained matriculate teacher and two peon posts are lying vacant for a long time. It also lacks a mandatory playground, drinking water supply and urinals. The State Government is yet to initiate any development measures both in the school and the ashram.